Glamping refers to a blend of glamour and camping, and as a word, it has its origin from two other words; “glamorous” and “camping”. 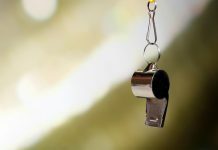 It’s a term explains a method of camping where there are usually amenities, and sometimes, services obtainable in resorts which are not traditionally associated with the traditional camping. It is usually described as camping with all the comfort of a home, from hot water to a king size bed and a beautiful fireplace. Glamping, though relatively new, is becoming more popular among travelers. 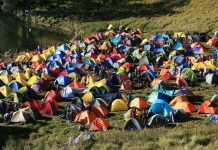 More particularly with the 21st-century tourists who seek the luxuries similar to those of a hotel accommodation without missing out on the escapism and adventure recreation of the normal camping. 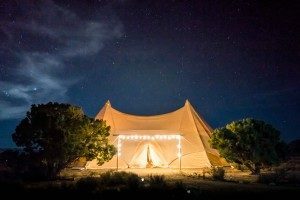 Perhaps you are a type of person who is not interested in inconveniencing or burdening yourself, then you might want to consider glamping. 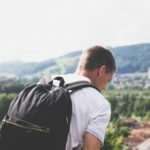 It provides a minimum or no inconvenience like bringing big family tents, sleeping bags, and other camping stuff; just you and your immediate needs. Glamping, as a stylish way to camp, does not bring any tents to pitch, no need for firewood to build a fire and you won’t even need sleeping bags. With these needs out of the picture, you get to enjoy the serene outdoors in all luxury and comfort. There are many glamping sites in various parts of the world. Just like you plan your typical vacation, where you make reservations for accommodation and all, all you need to do is make a reservation at your preferred glamp site. Your chosen glamping site, just like a resort or hotel, also provides different accommodation options, ranging from a tent, a cabin with one bed, two beds alongside a kitchen, and so on. While making reservations, you may also register for outdoor activities such as hiking and sports. 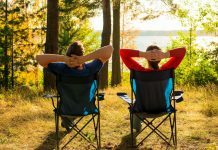 Glamping-out comes with some apparent benefits, including the absence of tents to pitch, no need of bringing camping essentials and the absence of hassle of any form. You can just conveniently make a reservation and appear at the site, with everything set. You enjoy your modern tent fitted with all conveniences and comforts similar to what is obtainable in your home. You also get to enjoy your meals, as you will have access to a well-furnished kitchen or even a restaurant at times. It can be enjoyed by anyone with almost no camping skills. This is because most of the technical issues are handled by the host. 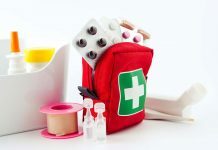 It is suitable for all age groups, even the elderly and people with limited mobility, who would otherwise find it impossible to experience a traditional camping trip. They can all truly enjoy it as a result of the luxurious facilities it offers. It provides a safe and comfortable way to enjoy the great outdoors and even families with small kids can also feel the glamping experience. 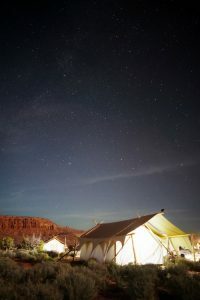 However, it is important to note that glamping comes at a higher price tag, relative to the traditional and the slightly unconventional methods of camping out. 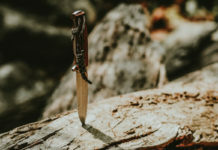 Perhaps this explains why a lot of individuals still prefer the slightly modified unconventional methods of camping out, adding more comfort themselves as they deem fit. Though they are called vans, Camper vans do not move. Some of them may have wheels and usually have a luxury accommodation setting, but still, camper vans are completely stationary. They are also called “house on wheels”, and are favorites because of their breath-taking interiors which appear small on the outside but comprehensive and sophisticated on the inside. 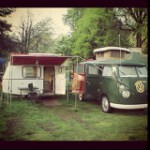 Camper vans may have a small working kitchen and even double decks. 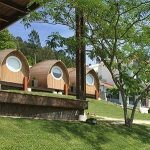 Eco pods offers a natural setting where you can feel secure and as comfortable as staying in a normal hotel or hostel accommodations. Your privacy is guaranteed as you do not have to worry about your neighbors bothering you. These beautiful tents are 100% local, warm and friendly. Safari Tents were originally homes to kings, and blue-blooded wanders who are constantly on the move, and hence must transport their lodging. Safari Tents, currently, are popular in Africa where the definition of ‘safari’ originated. 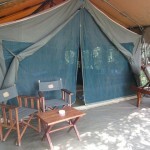 If you are looking at having such an adventurous tent as seen in Game of Thrones, then safari tents are right for you. A tipi can be attached to the early American-Indians who made their modest abodes using crude and limited materials. The skeleton structure of tipis is usually wooden poles, which are arranged in a triangular shape and tied together at the top. 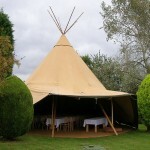 Interestingly, animal skin fabrics are used in tipis, due to their durability in all types of weather. 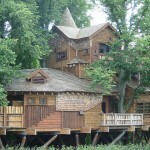 These beautiful houses are made of real wood, and are very safe tents or structures. They offer maximum comfort and can constitute one of the memories to remember about the trip. Glamping or glamorous camping is a relatively new trend in tourism which is gaining a rising prominence in the outdoor world. However, it is not the same as the regular camping. This segment of the article discusses a few key distinctions between camping and glamping. The first difference between glamping and normal camping is what you will stay in. During camping, you will need to bring your tent and get it set up in a remote location to experience nature in the simplest form. However, it comes with more sophisticated setups. Take for instance Yurt Glamping that comes with a framed shelter, already installed in a natural environment and having such facilities as electricity and refrigerator. It is also only a short distance from attraction and recreational sites. Another distinction is how you settle down. 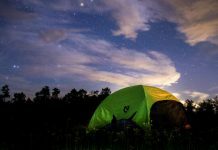 While you sleep on a sleeping bag on the ground right under the stars during conventional camping, you get a comfortable king size or queen size bed adorned with clean sheets, under a transparent dome where you can check out the stars. In the same vein, your restroom facilities during conventional camping are most likely under the shade of your best choice of tree. However, you have the choices of the best stalls in the woodsy-themed restroom. Another important factor in settling down is cooking. 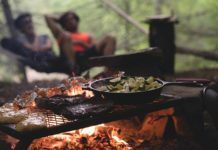 While on the traditional camping, you will most likely deal with firewood and roasting marshmallows over an open fire, which is a good way to enjoy camping anyways. But glamping offers a more convenient alternative, like roasting your marshmallows or even opting for a home-cooked meal instead. While it lets you enjoy a complimentary bag of coffee in a pot at your quarters, camping will require you brewing some coffee over the campfire. Taking your bath or fleshing up is different with camping and glamping. It gives you the luxury of fully functional bathrooms, with nice showers. Camping, on the other hand, has scarce showering times, and only a few portable showers are available should you be interested in taking your bath. 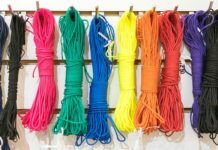 Another factor to consider when distinguishing between camping and glamping is storing your supplies. You have enough space to place virtually everything, from your cottage to refrigerator for your food supplies and even a dresser for your outfits. 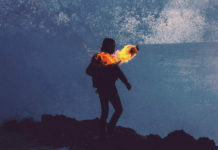 For controlling temperature, it offers air-conditioning and even heating units, but the best you can get on conventional camping is wearing lighter or thicker clothing, using a lighter or thicker sleeping bag or closing the tent flap. Glamping involves exotic trip destinations, and amazing accommodations, coupled with wildlife, outdoor activities and exciting adventures. There are several sites throughout the world, each with a unique offer of diverse luxuries. 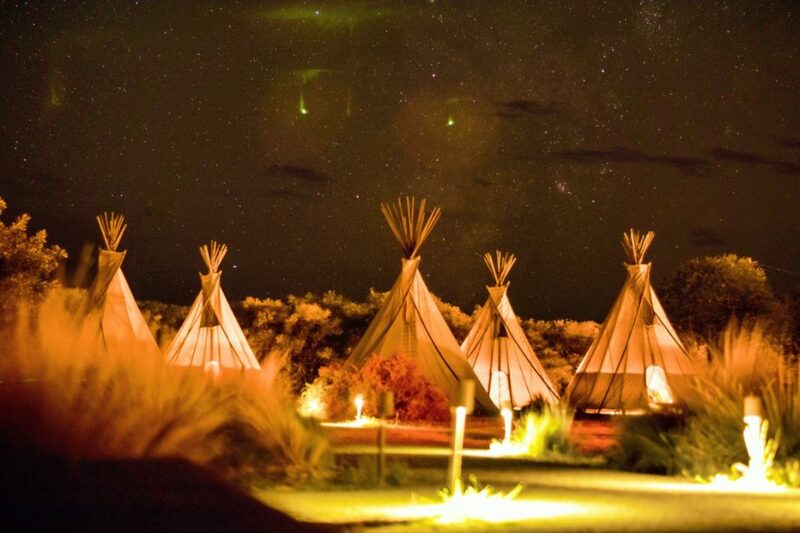 Here are some of the popular glamping sites the world has seen. Located deep within Dubai’s desert landscape and magical dune, Al Maha brings a blend of architecture and heritage of the Bedouins, while offering a touch of desert adventure. The resort is finely furnished with an authentic and unique collection of Arabian antiquities and artifacts. And most importantly, it offers spectacular views of the Dubai Desert Reserve and its wildlife. Surrounded by greatly impressive mountains, Four Seasons Golden Triangle provides a bamboo jungle experience, close to the earliest Thailand’s civilizations. Tourists here can take a nature stroll, explore northern Thailand’s exotic hill tribes and even ride an elephant. They provide up to 15 tents. Also part of Aman’s portfolio, Aman-I-Khas opens between October and May each year as a wilderness camp located in rugged brushwood forest edges of the Ranthambore National Park. It offers accommodation in ten luxury air-conditioned tents, with high height canopies covered in the Moghul style. Also, there is provision for three other separate tents that offers relaxation, dining services, and spa treatments. Visitors enjoy guided wildlife excursions to the park twice a week, where they get to see an indigenous game like crocodiles, leopards, tigers and the rest. This is an exotic resort laced with luxury and untamed wilderness, situated within Canada’s Pacific Rim National Park. It offers great white canvas suite tents, lounge, spa tents and dining, alongside fascinating adventures. It provides up to 20 suite tents, well furnished with antiques, lavish rugs and duvets and luxurious amenities. It is usually opened from May to September, every year. This is another glamping situated built under the large, shading trees overlooking a floodplain, in the Northern point of Chief’s Island in the Okavango Delta. It is a resort filled with wildlife, alongside nine spacious en-suite tents with a height of above two meters. There are a long veranda, indoor and outdoor showers and a sala. In addition to this, it offers two plunge pools and a gym to work out. The Little Mombo, also situated on the Chief’s Island, is smaller and more intimate compared to its sister Mombo Camp. It has its sparkling pool, dining and lounge area. Glamping is without a doubt one of those frugal experiences that create long-lasting memories and I have to admit that it’s on my bucket list – no doubt you should add it on your list too. Camping can be fun, especially dry camping but glamping seems to be exactly the opposite: luxury camping.